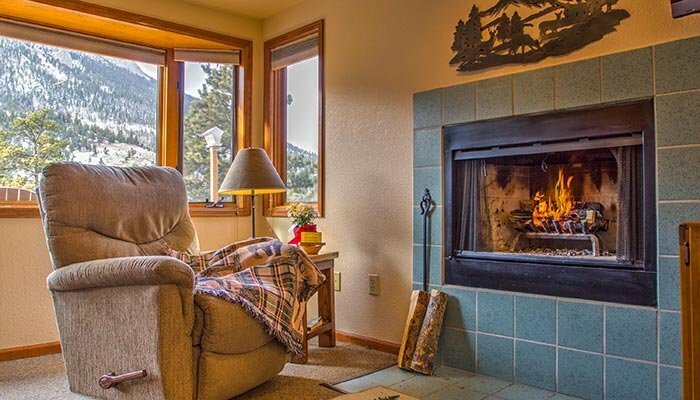 To view availability calendar for our Dog Friendly Columbine Cottages, click here. 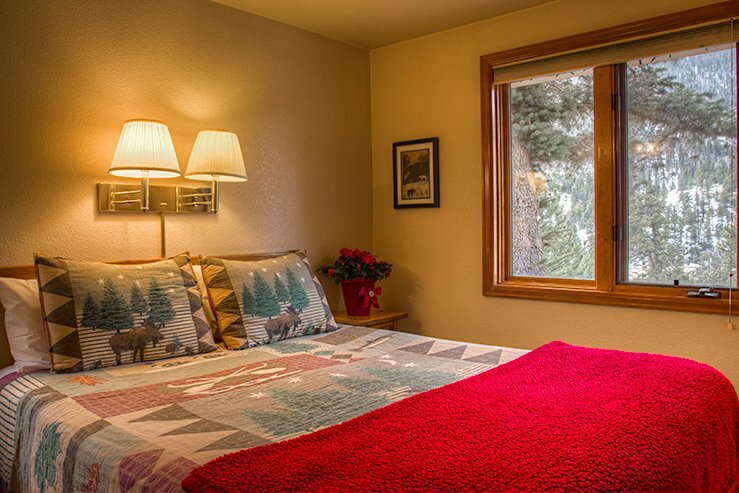 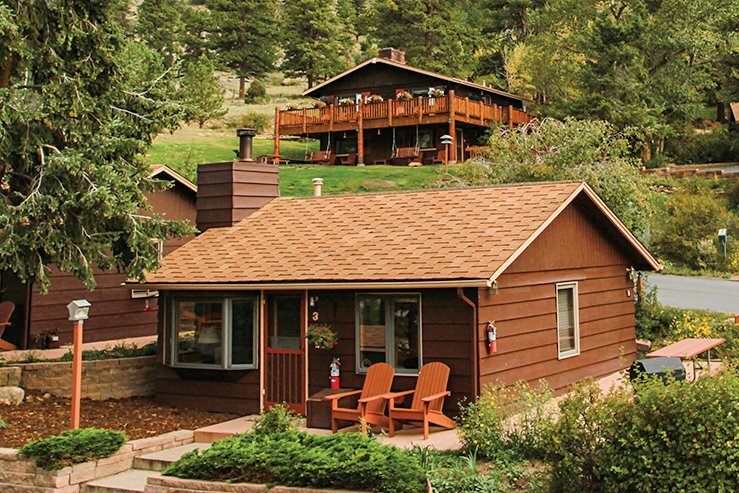 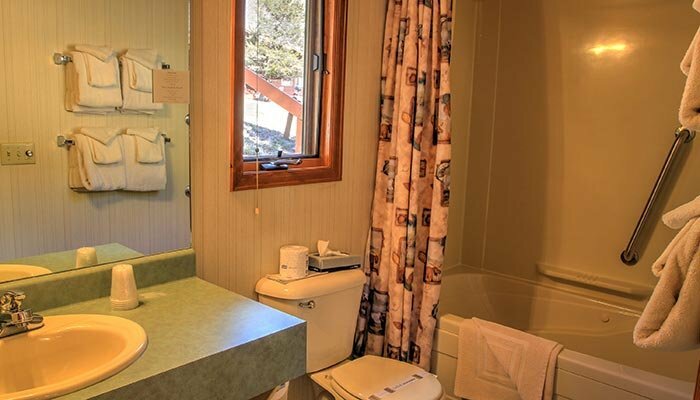 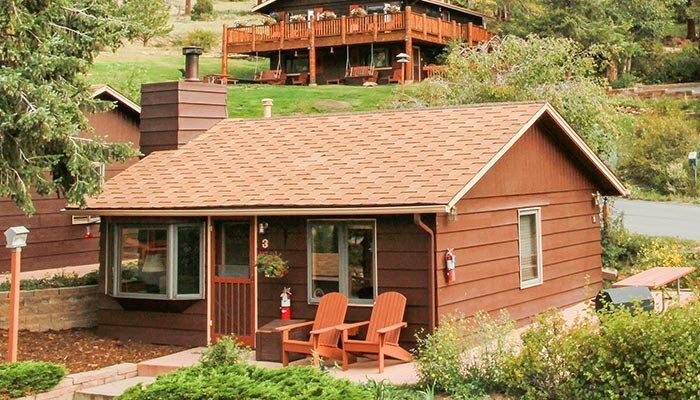 To view availability calendar for our non-doggy Columbine Cottages, click here. 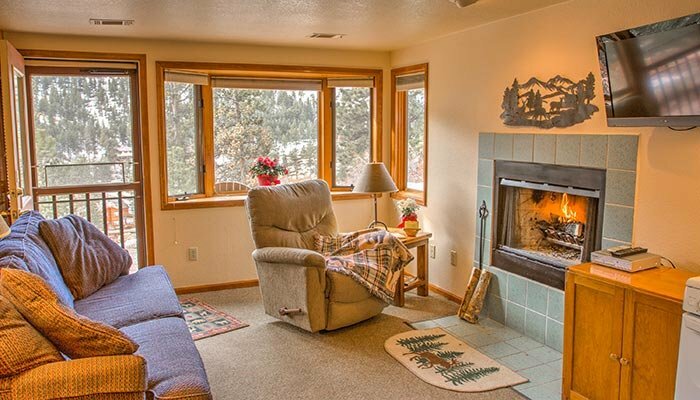 Columbine Cottages #'s 3, 4, & 5 are dog friendly. 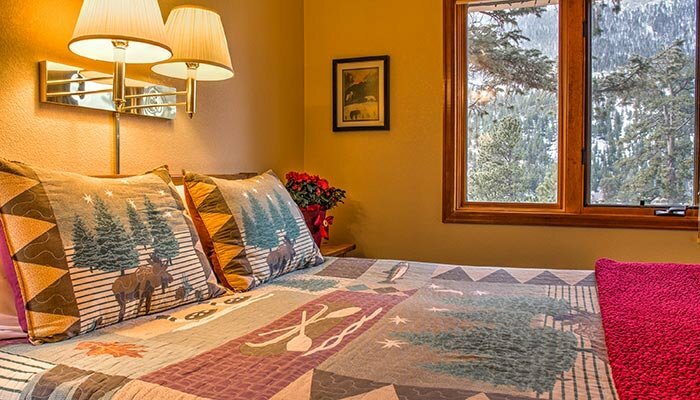 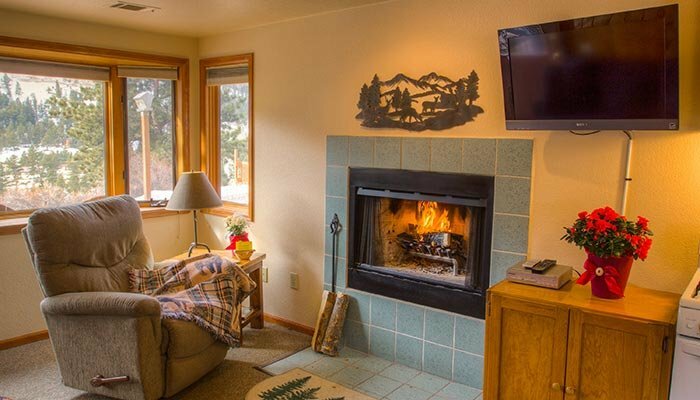 The ideal mountain getaway is an individual, one-bedroom cottage with large bay window, knotty pine ambiance and wood burning fireplace. 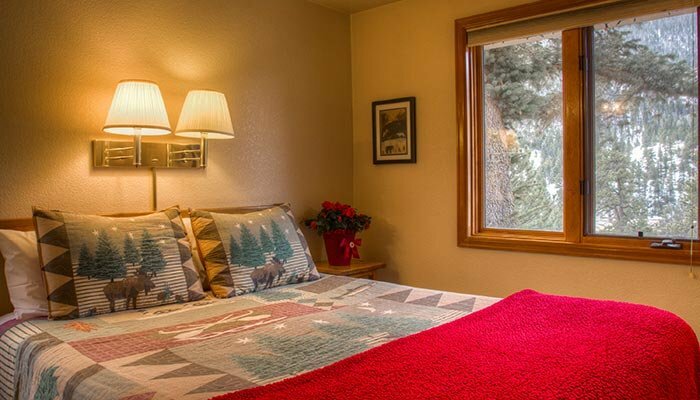 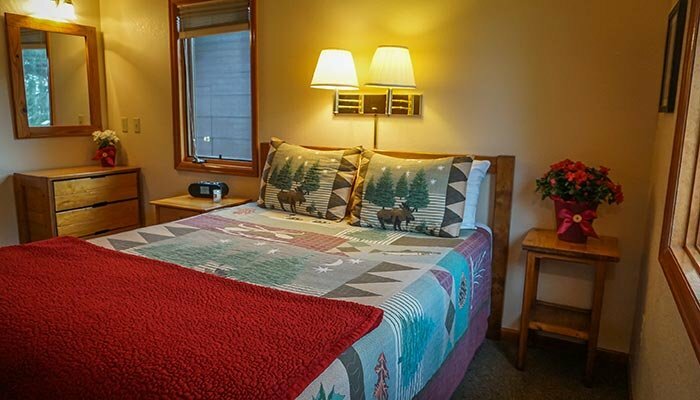 A queen bed in the bedroom and sofa sleeper in the living accommodate up to four. 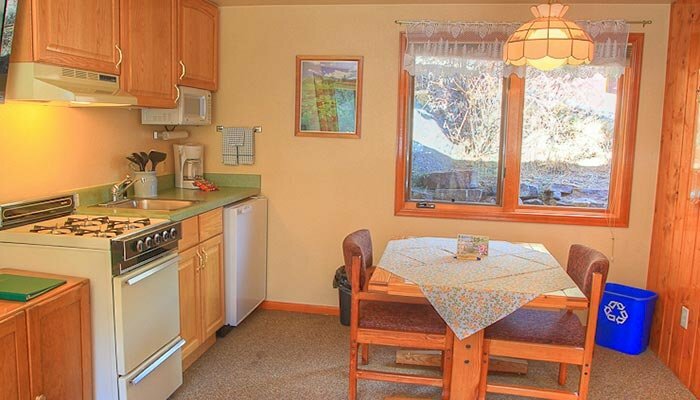 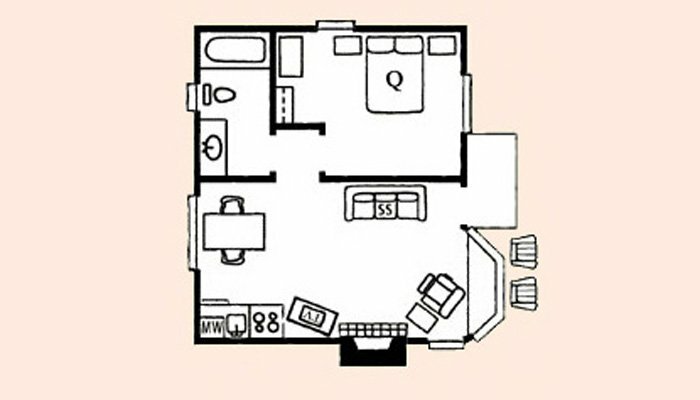 The compact, fully-equipped kitchen has a microwave, the full bath has a jetted bathtub, and the view is nothing less than spectacular!